A couple of days ago, I was wandering through Paris, guided by a tip I got from the wonderful and resourceful Nirit Sumeruk (aka parispopcorn), a beautiful girl about town, who works as a journalist, writer and TV presenter in the city of lights. In her blog www.parispopcorn.com she writes about what's hot and fab in Paris, reports from the fashion shows and events she attends, the designers she meets, and the fun she has. Needless to say that she is an absolute delight! Since then, I never go on a trip to Paris without the book, and on the three hour train ride, I mark the shops and ateliers I'd like to see. I needed to source some ribbon, and to my delight I found a couple of 'merceries' (dressmakers and sewing stores) featured. My favourite one turned out to be 'Ultramod', located in the charming 'rue de Choiseul'. 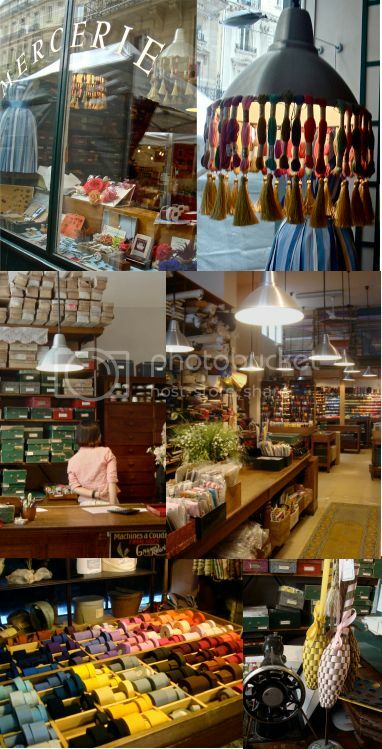 The shop is split into two boutiques, situated right opposite each other. One for sewing supplies, and the other one for hat making and ribbons. The day I visited, a street marked was bustling right outside the shop, and to get from one store to the other, the SA and I had to weave through the market stalls, shopping basket in hand. 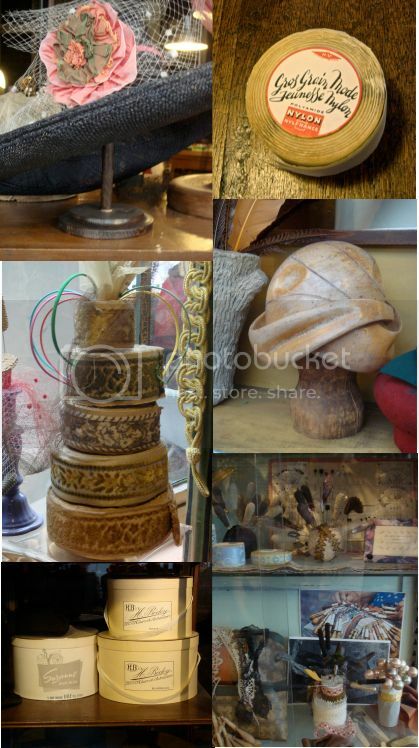 and across the street, the hatmakers paradise, where you can admire Monsieur's wooden hat moulds, his handmade hats and collection of hat pins, find specialty ribbons or choose between a large collection of beautifully coloured plain ribbons, made from natural materials. 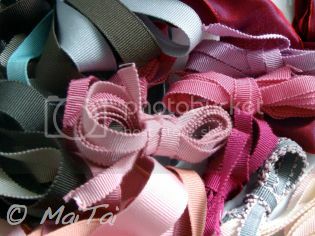 A selection of some sample ribbons I bought. Looking forward to explore the other shops and ateliers! Oh fabulous post MaiTai - just my kind of thing - thanks for the info and I must try and get the book!! Hurry to the bookstore, dear Scarf Addict! If all fails, WH Smith in Paris stocks it too (in english), conviniently located just off the Place de la Concorde, in the rue de Rivoli no 248. Good luck! Lovely! I'll definitely pick up this book for our next Paris trip. Thank you for the info on the book, MaiTai. I so miss Paris... It's always a pleasure to read the posts in which you share your visits to the City of Lights. Thanks you so much for your wonderful posting. Although the next trip to Paris is a little while away I'll get me the book, just for browsing purposes. Thank you very much for sharing the nice things. Dear MaiTai, What a lovely post, you transported me to the the "soul" of Paris. 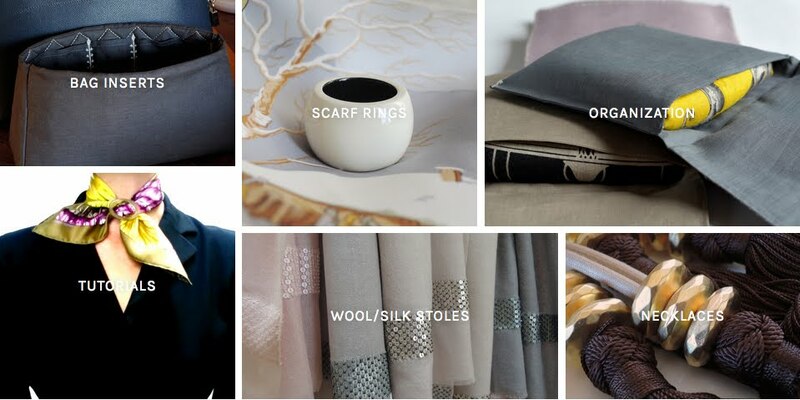 No matter where you are, the heart of a place is with the artisans, their history, craft and indeed - soul. Waiting to see what you have in mind for the ribbons! Loved this book. It crossed my desk a few weeks ago and I had to let it go so I'm waiting to get it back. parispopcorn.com is a real gem. It's such a great site for discovering the Parisian's Paris - especially the various exhibitions around town. And of course a particular post from April 26th was a real treat. Can´t wait to read it! thanks for the lovely picture. I love the colours of the sample ribbons you bought. Delightful information... I always appreciate your unique posts. Thank you for the website address and book information. Wishing you a wonderful weekend. Heaven on Earth !! what a fabulous treasure trove !! I shall have to make a special trip to Paris just to visit 'Ultramod'.I can imagine the fun you had and love the ribbons you bought! The book is amazing and I shall make certain to pick up a copy! Hoping to see some of your creations from your purchases! Thanks so much for all the fascinating information, Amou. Deja Pseu, booksnchocolate, Lublusu, angolfa, Valencia, manuela, Joanne, casiewbao and SMR ~ have fun with the book, and even more fun on your next trip to Paris! booksnchocolate and angolfa, ITA with you on the candy store analogy! A place like this is truly inspirational, and it is a real treat to see so many colours together closely, and to experiment with different combinations. I could spend hours there! Lublusu ~ a warm welcome to you! Dear manuela, the book will be such a nice companion on your next trip, have a fun read and a wonderful time exploring! You are very welcome, She Wore it Well, have fun on your next trip to Paris! Oh Maitai, have not been too well lately, it was great to be logging on more again now, thank you for such a lovely recommendation, the Ultramod looks like a wonderful place to visit. I am sure I will be reading through your blog again and again if my Paris plan comes true next year, your information is really wonderful, thank you.